Knit hats, gloves, and more ... Puppets! Announcement Knits for the family: hats, scarves, fingerless gloves, and more....puppets! Puppets for the young or the young at heart. Perfect for Birthday Party Favors! Custom knitting requests are welcome, please consider time for the actual knitting when ordering. CHRISTMAS STOCKING ORDERS are welcome for Christmas 2019. 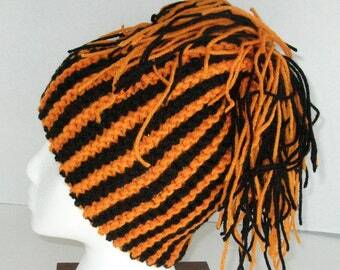 Knits for the family: hats, scarves, fingerless gloves, and more....puppets! Wonderful shipping! My son is going to love finding this in his Easter basket. He absolutely loves pigs! I would order from this shop again! Happy Valentines Day. Lots of pink scarves and cowls make great gifts. Thanks for checking out my shop. Allergic to wool? No problem. 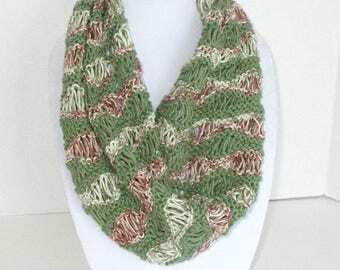 This soft cotton scarf with give you warmth and color! Are you ready for Halloween? Just listed the cutest fabric piece I found in my stash. Bought it to line the Halloween vest fabric panels that I have.... no time to sew right now, so grab them up quick and have some fun. Great mother daughter costumes. set of nine puppets to go with a favorite story book. I love to create knit wear and puppet party favors. I've been knitting for as long as I can remember. The best part of knitting is designing custom orders. I started making puppet party favors over 35 years ago. Still creating new custom puppets. My favorite newest is a cardinal puppet. I also knit custom Christmas stockings often matching family heirlooms. Welcome to MFcrafts. Thank you for shopping here. I have a variety of items in my shop, since I enjoy many different crafts. I welcome custom orders, since those challenges provide a spark for my creative gene. All items are hand knit by me in a smoke and pet free home. I want all my customers to be delighted with their purchases. I would expect the buyer to notify me of any concerns within 24 hours of receipt. Any returns must be in resalable condition, and refunds will be minus shipping & handling. I value good communication between buyer and seller. I accept payment using PAYPAL and Direct Checkout by credit card through etsy. I try to ship items to you on the next available day after payment is received, unless it is a custom order, and will contact you if there is a delay. To keep postage costs down and do a little bit to save the environment, I will use clean recyclables when possible. I include tracking on shipments whenever possible. If you are interested in insurance, convo me before paying and I will upgrade the shipping to include insurance. I will ship worldwide for most items, however the buyer is responsible for any customs/duty fees imposed by buyer's country. I accept custom knitting and puppet requests.